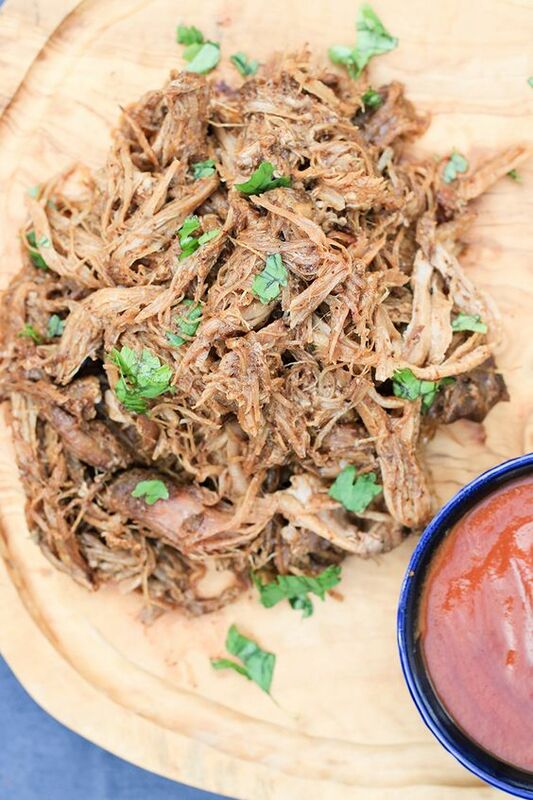 This pulled pork recipe is on regular rotation in our house. If you haven’t noticed by now, I am not one for fancy shmancy recipes with a million steps and a ton of complicated ingredients. I’m all about big, simple flavor achieved in a minimal but strategic way. 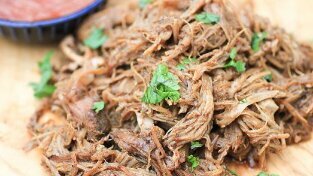 This pulled pork may not be as traditional as smoked meat, but it certainly curbs my barbecue cravings. Full disclosure though… don’t be surprised if you see me buy a smoker in the near future. I would really love to have one of those at my disposal! I’ve been making this recipe for quite a while now. I used to make it my traditional slow cooker but now I make it in an Instant Pot. If you don’t have an Instant Pot yet, I promise you that you need one. It can slow cook, pressure cook, steam, sauté (and more!) all in one machine. I was thrilled to toss my old equipment after buying one to free up some space in my kitchen. I often make this alongside my Bacon-Lovers Spicy Southern Greens and Deli Style Cole Slaw! Remove any string holding your pork together. With your hands, rub all parts of the pork with the spice mixture - making sure to get into every crevice. Wrap pork tightly with plastic wrap and let it sit overnight. 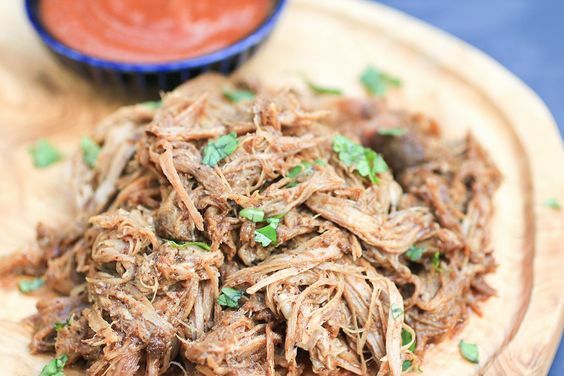 The next morning, unwrap the pork and set it in your slow cooker or Instant Pot. Cook on low for 8 hours and serve with barbecue sauce. Great recipe! It’s so simple, but it looks so tasty! I’m not one for complicated recipes either. You’re half way through cooking a delicious meal and you’re asked to take out your spiralizer or mix in your fresh kawakawa seeds! And then you’re stressing out because it’s not gonna taste amazing without the fresh kawakawa seeds., and half of you is wondering what the hell kawakawa seeds are. So yeah!! Have a great day :D! I’ve made this once, with amazing results. I have a pork loin right right now, do you think it would turn out? Or any recommendations? Hey Amanda! I’ve never tried it with pork loin before but it should absolutely work. I am not sure what the size of the pork loin is, so you might have to use a little bit more or less spices, but other than that you should be able to follow the steps the same. Let me know how it turns out! You don’t need any liquid?? Hi Anya! I made this the other day and it was amazing! I have an instant pot but I used my trusty old slow cooker instead. Do you use the original cover or a glass cover for the IP to slow cook this? Also, I wonder if it can be pressure cooked? what do you serve this with? 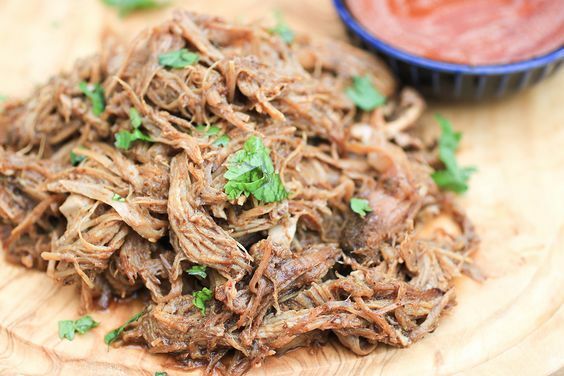 Is it for a sandwich like you would do for pulled bbq pork? Thanks I am making this in my crock pot. Any alterations? Hi Joanne, as I mentioned in the post, I serve this with Spicy Southern Greens and Cole Slaw. You could also make a sandwich but since I eat a paleo diet, I rarely do that. Shouldn’t have to make any alterations for the crock pot. Enjoy! 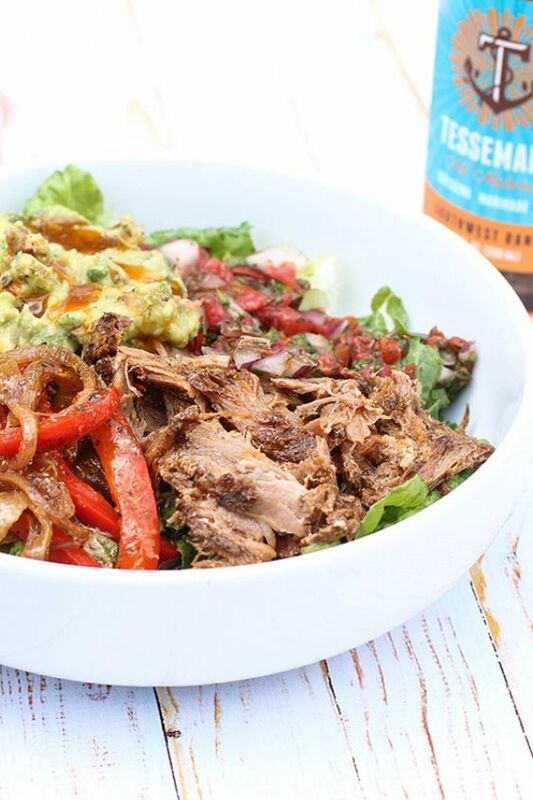 We love to use this recipe to make paleo burrito bowls! I layer cubed roasted sweet potatoes (we like the white ones), fajita veggies (bell peppers, onion & sometimes zucchini), the carnitas, and then top it all with homemade guac & salsa! You could also try it with plantain chips instead of the sweet potatoes for your starch if you follow a paleo diet. Hope that helps! Two things that I took from your wonderful writing. 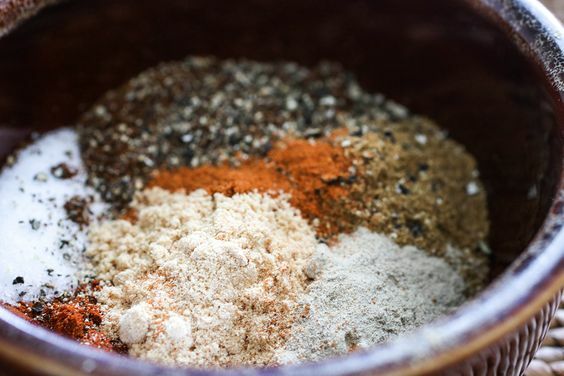 I need to get white pepper into my spice pantry – yes pantry. I can’t believe I missed that one somehow. The second thing is that at first glance the main picture looked to me like a tuna casserole that my grandmother used to make. I mistook the pork for tuna (obviously) but the green stuff that was sprinkled on the meat I mistook for peas. Which are in a tuna casserole – so the bottom line is you have inspired me to try something new along those lines. Thanks for the inspiration – I will let you know how it turns out if you would like. Ha! This made me laugh. Definitely let me know how it turns out, it’s one of my favorite recipes! Mom said it’s not paleo and we couldn’t make it. Hmm, really? Its just meat and spices, doesn’t get more paleo than that! Can you tell me about how many servings this makes? It depends on how big your cut of meat is and how you are serving it. I would say at least 6-8.